It appears the Stone Roses reunion is over. The band just wrapped up a string of shows in the U.K. last night, however since the tour began rumors were swirling that Saturday night's show in Glasgow would be their swansong due to escalating tension in the band and Ian Brown's desire to rekindle his solo career. Though the band didn't confirm a split through an official announcement, at last night's show, Brown implied as much by reportedly telling the crowd "don't be sad that it's over, be happy that it happened." The Stone Roses originally broke up in 1996 but after years of insisting they wouldn't reunite, they surprised the world by doing just that in 2011. Since reuniting they've played countless MASSIVE headline shows overseas. 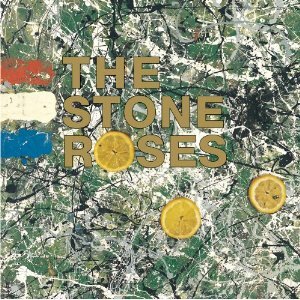 Though the crowd response was predictably tepid stateside (particularly at their U.S. Coachella appearances in 2013), the rest of the world recognizes the Stone Roses to be a legendary and iconic band. Props to the Stone Roses for a wildly successful reunion and incredible career. "It's a beautiful thing, bye bye".